The Coke-ovens. 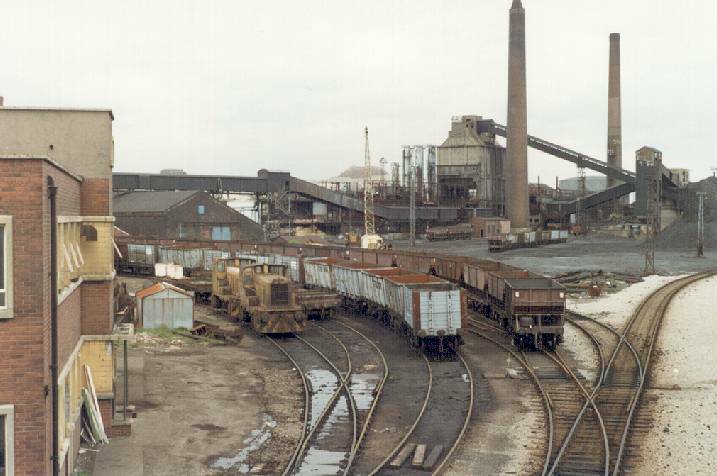 Looking North from the footbridge at Derwent Crossings, with the overhead conveyor to the blast-furnaces in the foreground. Built in 1936 and using a narrower battery and a higher coking temperature than previous ovens, this coke-oven battery was designed to get the best from the quality of coal mined in the Cumbrian coalfields. Frank O'Donnell worked in the coke oven laboratories from 1958 to 1964. 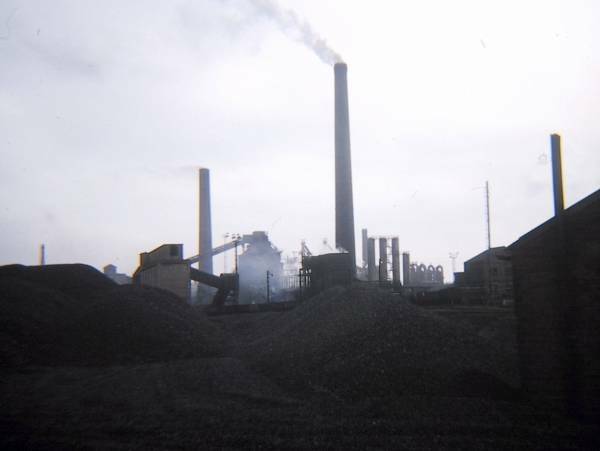 During that time he was able to capture some marvellous images of the coke ovens at work. Tom Davidson was an electrician with the Workington Iron and Steel Company (WISCo), having 'served his time' in the Bessemer Training School from 1957 - 1961. He took some pictures around 1965 - 66. I am indebted to Frank and Tom for allowing me to use these photographs, which appear via linkable miniatures further down this page. The architecture was remarkably similar to that of the Solway Colliery, sunk just prior to WWII to the East of the Carlisle-Barrow railway line across from the coke-ovens. 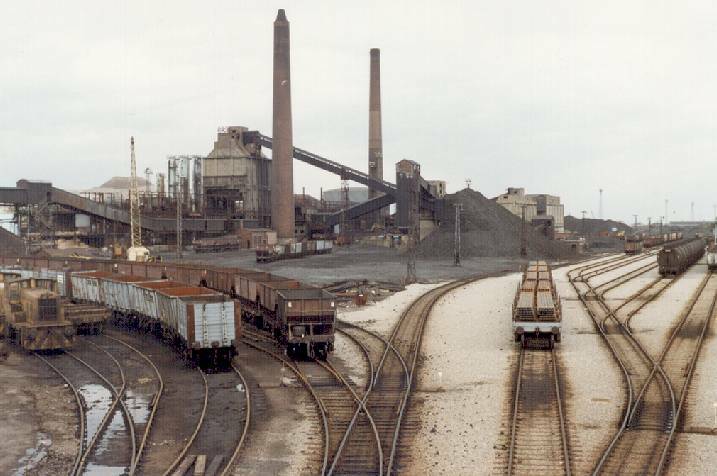 Solway Colliery was sunk by the Workington Iron and Steel Company, and the original plan was to carry freshly won coal over to the coke-ovens by conveyor. In 1947 the coal industry was nationalised and raw material control by the Iron works was lost. View of the railway sidings (above). 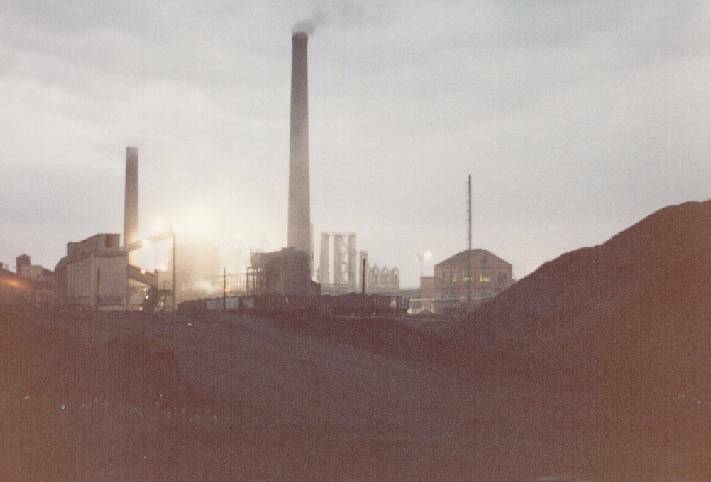 The coke-ovens at dusk, looking South-West. 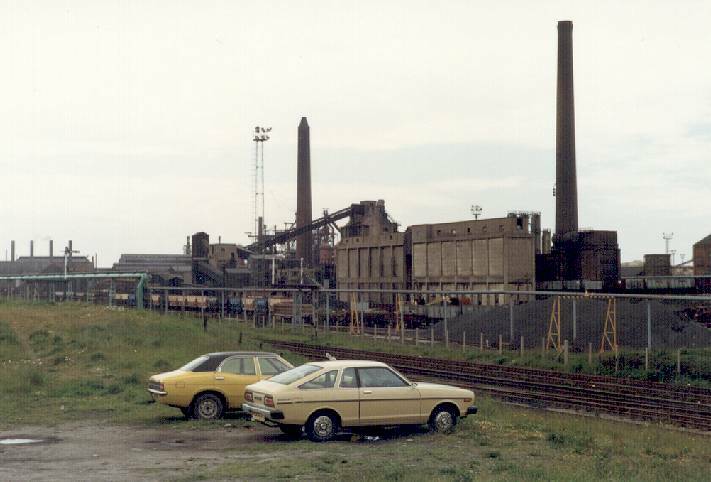 This photograph is taken from just over the road from where "Halford's" is today. The coke-oven batteries from across the railway line. Note the contemporary motor cars in the foreground! This photograph was taken at a point where a railway line used to leave Solway Colliery up a gradient, and run to one side of the road over the main-line rail bridge.